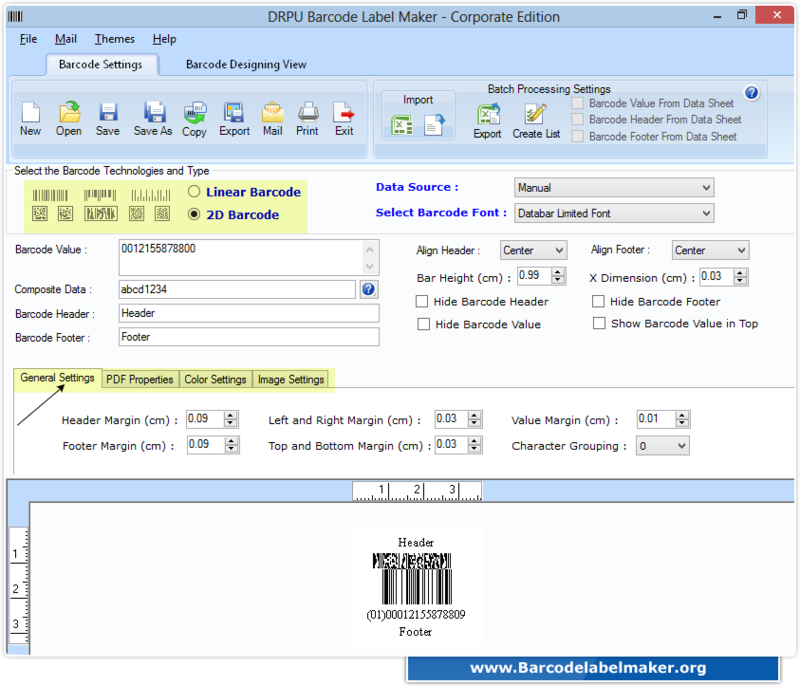 Barcode Label Maker Software (Corporate) helps you to design and print various kinds of barcode labels, sticker, tags, coupons, rolls, ribbons etc. We provides different types of barcode software to generate barcodes images using linear as well as 2D fonts for different organization including Healthcare sector, Banks, Pharmaceuticals, Transportation, Postal services, Fresh food industry, shipping industry etc. Barcode generator program has capability to generate and print multiple numbers of barcode images simultaneously using random, sequential and constant value series generating feature. Support creation of barcode images in Linear and 2D barcode fonts. Generate Barcode List (multiple barcode images) using Sequential Series, Constant Value Series and Random Series options. Barcode label printing software offers pre define label stock and manual mode to print designed barcodes. Provides inbuilt email setting to send generated barcode images through e-mail.